Muslims pledge that there is no God but Allah and that Muhammad(sa) is His messenger. But reciting the pledge is not enough: Muslims must put it into practise. Muslims the world over profess their faith by saying, ‘There is no God but Allah and Muhammadsa is his messenger’. But how can Muslims manifest those words through practical action? 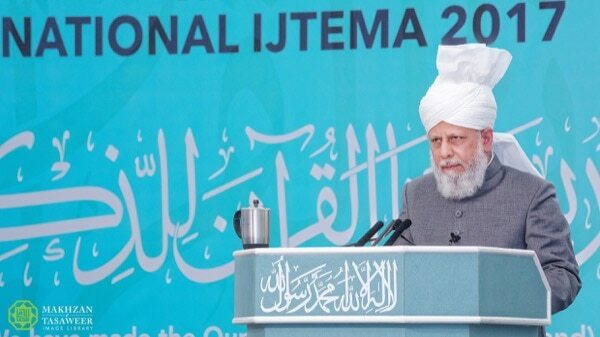 His Holiness Hazrat Mirza Masroor Ahmadaba, worldwide head of the Ahmadiyya Muslim Community, sheds light on how Muslims can truly live out the kalima in this address to Majlis Khuddamul Ahmadiyya UK (the male youth organisation of the Ahmadiyya Muslim Community), delivered on Sunday, September 17, 2017. 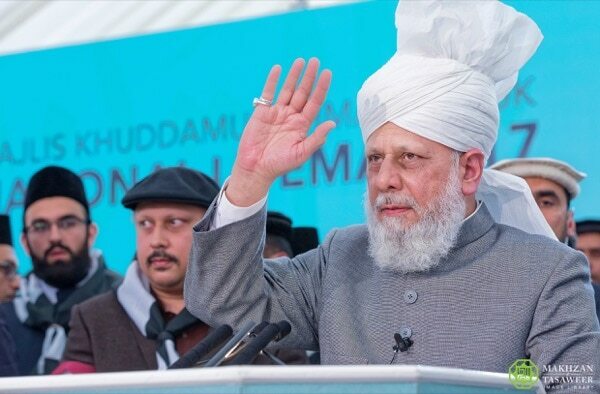 ‘With the Grace of Allah, in most countries where the Jama’at [the Ahmadiyya Muslim Community] is well-established, Majlis Khuddamul Ahmadiyya [the male youth organisation of the Ahmadiyya Muslim Community] and the other auxiliary organisations have also been founded. And the primary reason why the auxiliary organisations were created was to ensure that great attention was placed upon the moral, religious and spiritual training of Ahmadis of all ages. The auxiliaries were established in order to bring members of the Jama’at closer to their religion and to explain to them their individual responsibilities. 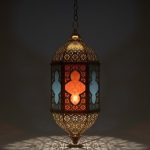 They also serve to guide the members of the Jama’at about how they can fulfil their material and worldly needs, whilst staying firm to their faith. Further, it is also the responsibility of the auxiliaries to emphasise the importance of serving both your faith and your nation to the best of your abilities. As you all know, Majlis Khuddamul Ahmadiyya is made up of our male youth between the ages of 15 and 40 and Khuddamul Ahmadiyya is also aligned with Atfal-ul-Ahmadiyya [organisation for boys between the ages of 7 and 15], which caters for the moral and religious training of our young boys. Certainly, the older members of Atfal, aged between 12 and 15, are of an age where their minds are maturing and they understand the basic elements of their faith and the pledges they make. In light of this, today, I am going to speak about the most basic pledge that all Muslims make – the Kalima – “Laa ‘ilaaha ‘il-lal-laah Muhammad-ur-Rasuu-lullaah” – “There is none worthy of worship except Allah and Muhammadsa is His Messenger.” These are the foundational words upon which the teachings of Islam are based and the respective pledges of our auxiliary organisations, including your Khuddam pledge, all begin with this declaration of faith. Thus, every Khadim [member of Khuddam ul Ahmadiyya] and every Tifal [member of Atfal-ul-Ahmadiyya] who reaches an age of comprehension must pay serious attention to the meanings of this pledge and strive to fulfil it. 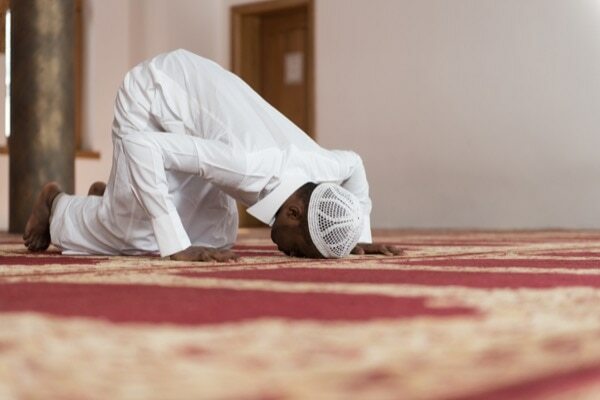 Although Muslims may recite the Kalima and declare their belief in it, they have to manifest this belief by being conscientious about performing the salat, the five daily prayers that every Muslim is obligated to perform. A person is only sincere in his declaration that ‘There is none worthy of worship except Allah’ when in reality his conduct speaks for itself and proves that, apart from Allah the Almighty, there is no one else worthy of worship and that there is no one else whom he craves and nor does he have any other objective besides Allah. The Promised Messiahas said that only people who reached this state of pure devotion and loyalty to God Almighty, where they considered the rest of the world to be meaningless in comparison to Him, could claim that their proclamations of faith were true and not based on falsehood. He taught that a true Muslim is he whose heart and soul are intoxicated with the love of Allah and consumed by the belief that He alone is worthy of worship. This is the standard required, otherwise a person’s proclamation of faith in Allah is reduced to superficial and hollow words. 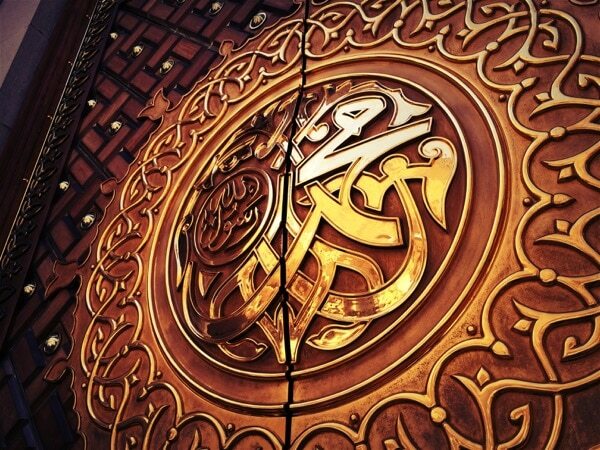 The second part of the Kalima requires a firm belief that “Muhammad-ur-Rasuu-lullaah,” that “Muhammad is the Messenger of Allah.” The Promised Messiahas has explained that the essence of the second part of the Kalima is that the Holy Prophetsa is the best example for all of mankind, because he was the perfect embodiment of following the commands of Allah the Almighty. Indeed, in the Holy Qur’an, Allah the Almighty has deemed the Holy Prophetsa to be the perfect role model and guide for all humanity. Hence, at all times, every Ahmadi Muslim should keep the blessed example of the Holy Prophet of Islamsa at the forefront of his mind and seek to follow his noble character. Certainly, our youth must realise that this is the golden key with which we can unlock the doors to success and is our only hope and means of presenting the true reality of Islam to the people of the world. O Allah, I beseech Your love and I beseech the love of those who love You. I seek from You the ability to do those things that are loved by You and that take me within reach of Your love. O Allah, establish such love in my heart for You that is far greater than the love I hold for myself, my wealth, my loved ones and the taste of cold water. The audience listens to His Holinessaba deliver the keynote address at the Ijtema, or annual gathering, of Majlis Khuddamul Ahmadiyya UK, the male youth organisation of the Ahmadiyya Muslim Community, comprising men between the ages of 15 and 40. Held over three days every year, the event allows the men to focus on spiritual reformation while also building bonds with their fellow brothers. There is none worthy of worship except Allah, He is One and has no partner; His is the true Kingdom, and all praise belongs to Him and He is the All-Powerful. The Holy Prophetsa said that whosoever repeated this prayer one hundred times would be granted the equivalent reward of a person who had freed ten slaves, that one hundred righteous acts would be recorded in his favour and one hundred sins would be struck off from his record. Further, remembering Allah in this way would protect a person from the influence of Satan, from morning until night, and no other person would be considered better except he or she who had spent even more time in the remembrance of Allah. This shows the true value that lies within our declaration of faith that “Laa ‘ilaaha ‘il-lal-laah” – “there is none worthy of worship except Allah.” When a person sincerely prays in this way there is no chance that they will be found wanting in their worship of Allah the Almighty. Without a shadow of doubt, it was the Holy Prophetsa who scaled the highest possible peaks of worshipping Allah. No matter the circumstances, he would never allow anything to get in the way of fulfilling the rights of Allah the Almighty. For example, it is recorded in the Ahadith [oral traditions and sayings of the Holy Prophetsa which have been compiled and handed down over the centuries] that even during times of severe illness or injury, the Holy Prophetsa continued to excel in the worship of Allah. On one occasion, the Holy Prophetsa fell from a horse and as a result, his entire right side was severely injured and he was unable to stand to offer his prayers, but rather than forsake congregational prayers, the Holy Prophetsa continued to lead Salat whilst sitting. At a personal level, we all know what our intentions and standards of worship are and we know if we are trying our best to follow the example of the Holy Prophetsa. 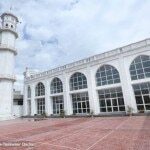 It is a cause of great sadness that there are many Ahmadis who sacrifice congregational Salat for the sake of their own small personal errands or just out of sheer laziness. Yet, without any shame or sense of embarrassment, they continue to repeat the words of the Kalima, claiming their belief that there is no one worthy of worship except Allah and that Muhammadsa is his Messenger. If people skip congregational prayer because of laziness, then they are not fully living up to their declaration of the Kalima. As I said before, words alone are never enough, rather they must also be mirrored by a person’s deeds and conduct. Despite being the Messenger of Allah and His most beloved servant, the Holy Prophetsa was forever overcome by the fear of Allah. He constantly urged his followers to remain anxious that, as a result of their negligence, they did not become the recipients of the wrath of Allah and deprived of His love. There are many narrations of the companions which tell us how the Holy Prophetsa would bow down before Allah and surrender himself before Him in a state of complete submission and humility. For instance, it is reported that when he prayed alone, people could hear the Holy Prophetsa weep with such intensity that it sounded like he was screaming and wailing in despair. Some companions described the sound of the Holy Prophetsa engaged in prayer as like a grinding mill in action, whilst others said that the sound was like boiling water in a pan. This was the unparalleled standard of worship and of the fear and love of Allah displayed by the Holy Prophetsa which was an example for all of mankind to come. Unquestionably, in terms of the remembrance of Allah and gratitude to Him, the Holy Prophetsa reached the highest possible standards. No matter whether day or night, whether awake or asleep, whether in a group or alone, the Holy Prophetsa never forgot his Creator. It is narrated that the Holy Prophetsa told his companions that even when he was sitting in a group he would continue to offer Istighfar – seeking the forgiveness of Allah – at least seventy times. Just consider that if the Holy Prophetsa considered it necessary to offer repentance so ardently, then how important it must be for us to constantly repent and seek God’s forgiveness. Indeed, the importance of Istighfar cannot be overstated as it focuses our attention towards the worship of Allah and protects us from wrongdoing and sinful activities. Moreover, the Holy Prophetsa taught his followers that it was imperative to remain forever thankful to Allah for His blessings and that Namaz was the best means of expressing gratitude. 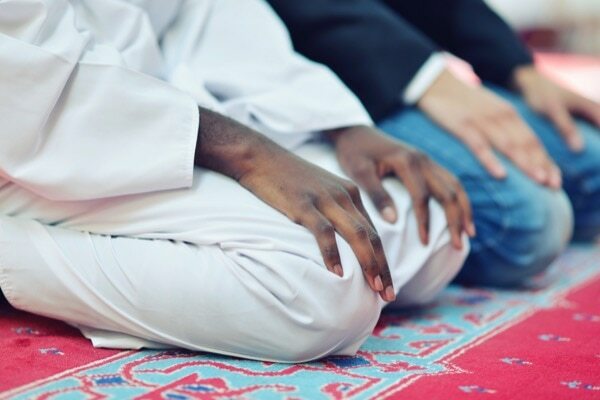 Regarding his personal love for Namaz, the Holy Prophetsa said that it was the true source of comfort and peace for his eyes and heart and he would repeatedly pray that, O Allah, my Lord, make me the person who always remembers You and is forever grateful to You. In terms of love for the Holy Qur’an and obedience to its teachings, the Holy Prophetsa was the greatest example. While also delivering the keynote address, His Holinessaba also took time out of his schedule to visit various booths and exhibits at the three-day event, including an exhibition by The Review of Religions, displaying Razwan Baig’s unmatched collection of priceless and historic copies of the Holy Qur’an. As he listened to this verse, the Holy Prophetsa could no longer control his emotions and, as tears flowed uncontrollably from his eyes, he gestured with his hand asking his companion to stop reciting. 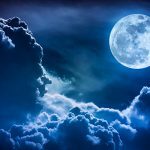 In another narration, Hazrat Abu Hurairahra reports that once, during a journey, he had the opportunity to spend a night in the company of the Holy Prophetsa. He narrates that the Holy Prophetsa had only recited “Bismillah” – “In the Name of Allah” – when he became so overwhelmed with emotion that he fell down in grief. 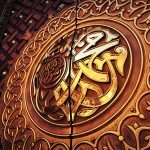 Hazrat Abu Hurairahra said that the Holy Prophetsa recited “Bismillahir Rahmanir Raheem” twenty times and each time he would again be overcome with emotion and fall to the ground. Thereafter, the Holy Prophetsa explained his grief by stating that a person upon whom the Gracious and Merciful God is not merciful is most unfortunate. Hence, today, it is imperative that we bow down before that Gracious and Merciful God, worship Him, weep before Him, open our hearts to Him and seek His Grace and His Mercy and pray that we are never cast amongst the unfortunate ones. I have spoken so far about the example of worship of the Holy Prophetsa and his relationship with Allah the Almighty, which helps us better understand the first part of Kalima that, “there is none worthy of worship except Allah” and shows us how he fulfilled his duties to God Almighty. 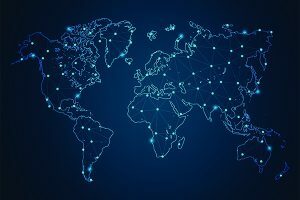 Yet, at the same time, the Holy Prophetsa also perfectly fulfilled his duties to society and to mankind at large and it is essential that we pay attention to this sphere of his life as well so that we have full comprehension of “Muhammad-ur-Rasuu-lullaah,” “Muhammad is the Messenger of Allah”. Only then can we begin to understand how the Holy Prophetsa fulfilled his duties as the Messenger of Allah and proved to be a true source of everlasting mercy for all mankind. In every respect, his character was flawless, beyond reproach and a perfect illustration of true morality. A fundamental quality of a believer is that he or she should be truthful and fulfil their trusts and covenants. In this regard, even the opponents of Islam were forced to admit that the Holy Prophetsa was an example for mankind. For example, the testimony of Abu Sufyan, given at a time when he was an ardent enemy of the Holy Prophetsa, is of great significance. Upon being asked by the Emperor of Rome what the Holy Prophetsa taught to his followers, Abu Sufyan testified that, Muhammad[sa] says we should worship the One God, offer prayers, be honest and fulfil our trusts and pledges. As I said, this was the statement of a sworn enemy and testifies to the fact that the Holy Prophetsa preached only a message of fulfilling the rights of Allah and of mankind. The unconditional honesty and integrity of the Holy Prophetsa was reflected at all times no matter how challenging the circumstances. For example, in wars and battles, it was commonly assumed that the victor had a right over the spoils and could seize the wealth and property of the vanquished. Yet, the Holy Prophet’ssa conduct in this regard was quite the opposite. 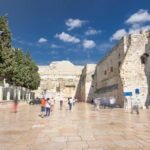 Instead of seeking personal benefit and riches for him and his followers, the noble character of the Holy Prophetsa demanded that no injustice was ever perpetrated. For instance, the war against the Jews at Khaybar was extremely arduous and demanding. At that time, because of the prolonged war, Muslims were subject to starvation. A Jewish Ethiopian shepherd accepted Islam and asked the Holy Prophetsa what he should do with the lambs under his control which belonged to the Jews. Whilst he could easily have ordered the shepherd to hand over the lambs, instead, the Holy Prophetsa ordered him to honour his duties to the Jews and to turn the lambs in the direction of their owners so that they could make their own way back. Rather than give in to any form of temptation at a time when he and his followers were famished and desperate for sustenance, the Holy Prophetsa ensured that the rights of the opponents were fulfilled and set an incomparable example of fulfilling one’s trusts and obligations. 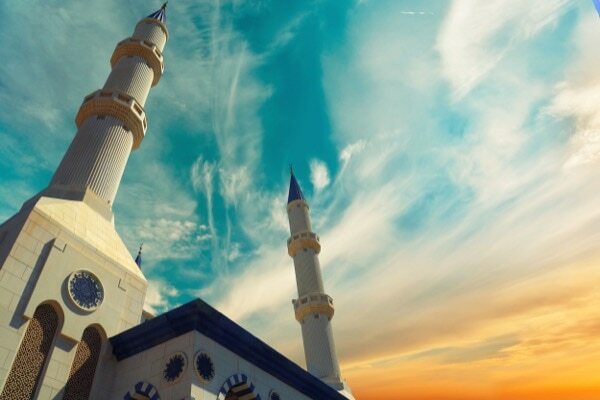 In Surah Jumu’ah, Muslims are instructed to leave aside all their worldly pursuits to come to Friday prayers, and Muslims should make attendance at the mosque for these prayers a priority. In a similar vein, whenever the Holy Prophetsa signed a treaty or covenant following the end of wars and battles, he always ensured that he and the Muslims abided by them no matter what. For example, after the Treaty of Hudaybiyyah [a treaty between the Muslims and Makkans, with terms generally unfavourable to the Muslims], there were times when the lives of the Muslims were put at risk but the Holy Prophetsa never wavered from the agreement and continued to honour every pledge made regardless of the danger. In all respects, the Holy Prophetsa taught and practically showed us how we must give priority to our faith over all worldly matters, and we Ahmadis all make this pledge again and again, but regrettably, whenever personal issues arise there are many who choose to ignore it. For example, in Surah Jumu’ah, Allah the Almighty has said that when it is time for the Friday Prayers, Muslims should close their businesses and give priority to the worship of Allah. However, there are people amongst us who disregard this Qur’anic injunction. Thus, I say to all our Khuddam that they should keep this teaching ingrained in their minds and give full priority to attending the Friday Prayers, rather than giving precedence to worldly matters. I swear that in the eyes of Allah, the material world is even lower in value and more debased than this dead goat and so do not follow materialism, rather always keep the attainment of the nearness and pleasure of Allah at the forefront of your minds. Furthermore, it is quite common amongst worldly people to think that a degree of falsehood or deception in business or trade is permissible. However, such an attitude is an example of prioritising materialism over faith because Allah has deemed all forms of falsehood and deception to be sinful. The Holy Prophetsa warned his followers that there was an increased risk of falsehood when buying or selling goods, and so before conducting any form of business, he advised them to give some sadaqah (charity), which would shield them from wrongdoing. O Allah, I enter this market and desire only that which is good for me and I seek your refuge from anything bad within it. O Allah, I also seek your refuge and protection from professing any form of falsehood whilst in this market or from any wrong trade. The Holy Prophetsa also reminded his followers that, though a person may be able to sell goods on the basis of deception, by exaggerating their price or quality, there could never be any blessings in such dishonest sales. On the other side, the Holy Prophetsa gave the glad tidings to those Muslim traders or business people who were honest and fair in their dealings that on the Day of Judgement they would stand alongside the martyrs. 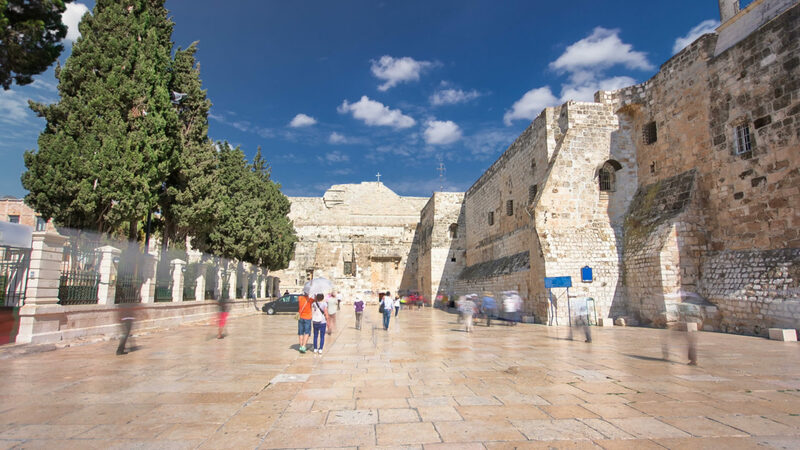 The Holy Prophetsa also emphasised the importance of showing compassion to one’s relatives and the blessings of keeping families closely knitted together. In this regard, the Holy Prophetsa said that to respond in kind to the love shown by your relatives was not an example of compassion and mercy, rather true benevolence towards your family was to mend the broken ties amongst them and to heal any rifts that existed. Certainly, this is a golden principle which is of great importance today and if our youths pay heed to it, many of the domestic issues that arise in people’s homes will disappear. In terms of his compassion towards Allah’s Creation, the Holy Prophet’ssa example was the very best. Never did he let any opportunity pass by to help the weak and needy; rather, he taught that if a person helped his brother, Allah would help him and if he removed the difficulty of his Muslim brother, Allah would remove his difficulties on the Day of Judgment, and if he covered the mistakes of his Muslim brother, Allah would cover his mistakes on the Day of Judgment. A very important Hadith, and one that we know very well, is that a true Muslim is he from whose tongue and hand all others are safe. However, despite knowing these words of the Holy Prophetsa, there are many who fail to act upon them. If people lived by this teaching all hatreds and conflicts would end – both at a personal level and amongst the wider society. This Hadith does not only instruct Muslims to abstain from harming others, it also directs them towards humanitarian efforts, because the deeper meaning of these words require Muslims to actively seek to help and serve mankind. The best example of this was the Holy Prophetsa himself who was ever ready to assist the needy with his own hands and showered his love and mercy upon all deprived and vulnerable members of society. On many occasions, poor and needy people would stop the Holy Prophetsa as he walked to the mosque or somewhere else and he never became irritated or impatient; rather, with great love, tenderness, and attention he listened to them, comforted them and helped them. Truly, we must all learn from this blessed example and realise that a true Muslim is he who considers the pain and grief of others as his own. Within the home, the Holy Prophetsa also set the best example and catered for the moral and spiritual well-being of his family. For example, he would wake his family in the night for Salat and called on other Muslims to do the same. Thus, our men should not only offer their prayers at the appointed times, but should also ensure that their family members are offering Namaz and waking for Fajr Prayer. This is something that Majlis Khuddamul Ahmadiyya should pay great attention to. As I said, in terms of his family home, the Holy Prophetsa set the best example and established the rights of women. Time and again, the Holy Prophetsa emphasised that a man must treat his wife with love, compassion and be fully respectful to her. He said that the best amongst you are those who treat their wives in the best way and that he was the one who took the greatest care of his wives. The Holy Prophetsa said that sometimes disputes arose between a husband and a wife, whereby they found flaws in one another or became irritated by certain habits. In this regard, he said that each spouse should remember that they themselves were not perfect and there would be things that the other did not like in them. Thus, it was far better to focus on the good qualities and those things that they did like about one another. With this teaching, the Holy Prophetsa has given us very beautiful advice, filled with immense wisdom, about how to maintain peace within our homes. It is also important that a husband speaks softly and kindly with his wife. His Holiness(aba) waves to the crowd after his keynote address. During his speech, His Holinessaba also emphasized that men have a duty to be kind to their spouses. In this regard, Hazrat Ayeshara testifies that the Holy Prophetsa spoke in the softest tone with his wives and was extremely loving and caring of their needs. She added that unlike most of the men of that time, he would speak informally with his family and would keep a smile on his face within the home. Throughout his life, the Holy Prophetsa never once raised his hand to any of his wives or towards any servant, despite living in an era when such abuse was common and considered normal. Sadly, even today there are many men who become angry with their wives over small and trivial matters and so I urge the members of Majlis Khuddamul Ahmadiyya to swallow their pride and instead to follow the example of our noble Prophet Muhammadsa, whose humility knew no bounds. Remember, that the Holy Prophetsa said that men who were harsh to women could not be considered amongst the righteous. I have mentioned just a few of the qualities of the Holy Prophetsa and there are countless other examples which illustrate the perfect conduct of the Holy Prophetsa in all spheres of his life. It is not enough to just hear or read about his example, but rather we must seek to adopt and follow the character of the Holy Prophetsa to the best of our abilities. Only then will we be amongst those who understand the true meaning and status of “Laa ‘ilaaha ‘il-lal-laah Muhammad-ur-Rasuu-lullaah.” Only then will we be able to claim that, having accepted the Promised Messiahas, we are acting upon our pledge to bring about a righteous transformation in our lives and are living up to the demands of the Kalima which is the foundation of any Muslim’s life. Remember our Jama’at is not for the normal worldly people who say that they are part of a community, but feel there is no need for any practical manifestation. Unfortunately, this is the state of the Muslims of today, whereby if you ask them if they are Muslim they will reply ‘Alhamdolillah’, [all praise belongs to Allah] ‘With the Grace of Allah’, ‘yes we are Muslims,’ yet they fail to even offer Namaz or to respect the basic commands of Allah. Hence, I do not want you to be like those who only verbally accept with their tongues but do not take any practical steps. Remember, such people are guilty of laziness and this is not liked by Allah at all. It was this very state of the world that caused for Allah the Almighty to send me for the reformation of mankind. Today, those who claim to stand with me, but do not make any practical efforts to reform and do not use their faculties to improve and who think verbally accepting is enough, it is as if they deny the need for my advent. Thus, if you wish for my advent to be in vain and worthless there is no benefit to having made this association with me. Rather, if you do desire to be associated with me then you must seek to fulfil the purpose of my advent and to further my objectives. And these are for you to bow down before Allah the Almighty with sincerity and loyalty and to act upon the teachings of the Holy Qur’an in the way that the Holy Prophetsa and his companions did. In the eyes of Allah the Almighty, it is not enough for you to just accept in words and to have no passion or sincerity in your acts. Rather, always remember that the Jama’at that Allah wished to create cannot remain alive without practical measures and a true manifestation of faith. His Holinessaba participates in the flag-hoisting ceremony at the national ijtema of Majlis Khuddamul Ahmadiyya. Accordingly, we must always try to improve and reform and be sincere Muslims so that when we say the words “There is none worthy of worship except Allah and Muhammad is His Messenger”, we understand its true meanings and are motivated to fulfil the rights of Allah and His Creation. 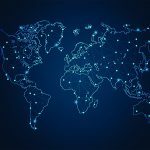 We must endeavour to personally fulfil the mission of the Promised Messiahas, which was to make the world recognise its Creator and to accept the Unity of God Almighty and to fulfil the rights of mankind. We must strive to further this mission so that the world, the majority of whom considers Islam to be an extremist religion that promotes terrorism, comes to realise that Islam is actually a peaceful religion that desires for mankind to recognise its Creator and to fulfil the rights of one another.